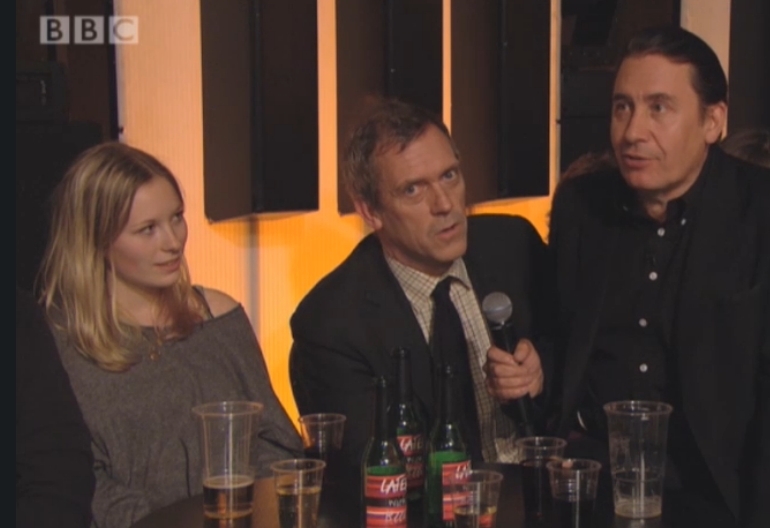 Hugh Laurie chats to Jools Holland - BBC 20.12.2012. . HD Wallpaper and background images in the Hugh Laurie club tagged: hugh laurie actor 2012 appearence public show jools holland. This Hugh Laurie photo might contain brasserie, table à dinner, table à dîner, and bistro.